The impact resistance of films is obtained by measuring the energy consumed by hemispheric impact head to make films rupture under controlled impact conditions to evaluate the impact resistance of material and its effects. QT-FIT-3J is widely used in research institutes, quality control laboratories, packaging industries, and inspection agencies and so on, to test the impact resistance (toughness) of various packaging films, metal foils, coated paper etc. It can be used to test plastic films, sheets and composite films made from PE/PP, aluminized films, aluminum plastic composite films, nylon films for food or drug packages, paper and paper board materials like aluminized paper for cigarette packages, and Tetra Pak materials etc. The ball shaped impact head ram strikes test sample with potential energy, thus the measurement are noted for the energy consumed to burst through the sample. 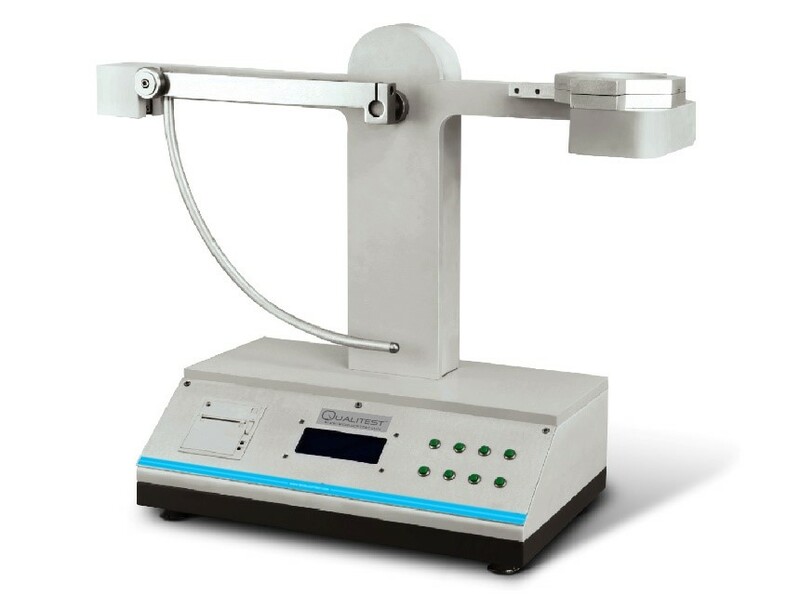 System measure the energy impact consumed which is equivalent to determine impact resistance of test sample.